This is a special order item. Takes about 3 weeks to ship them out. We can remake it if you want minimum 10 pieces. Please login or create an account to send request. 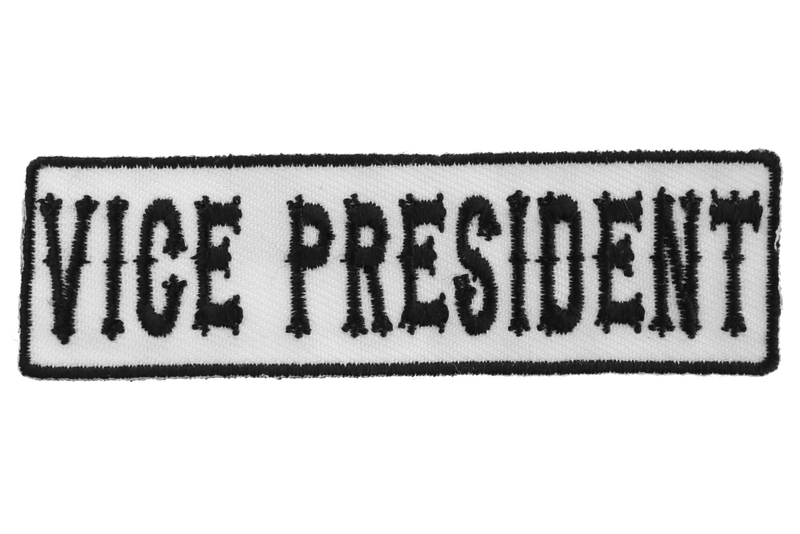 Vice President Patch Black on White measures 3.5x1 inches and is Embroidered in White / Black. The Small Patch can be sewn on or ironed on to clothing such as Denim or Leather Jackets, Vests, Hats, Back Packs, Shirts. Features plastic backing and embroidered die cut borders.